Beautiful long gold earrings with Yowah opal. Yowah opal is found in the Australian town of Yowah. 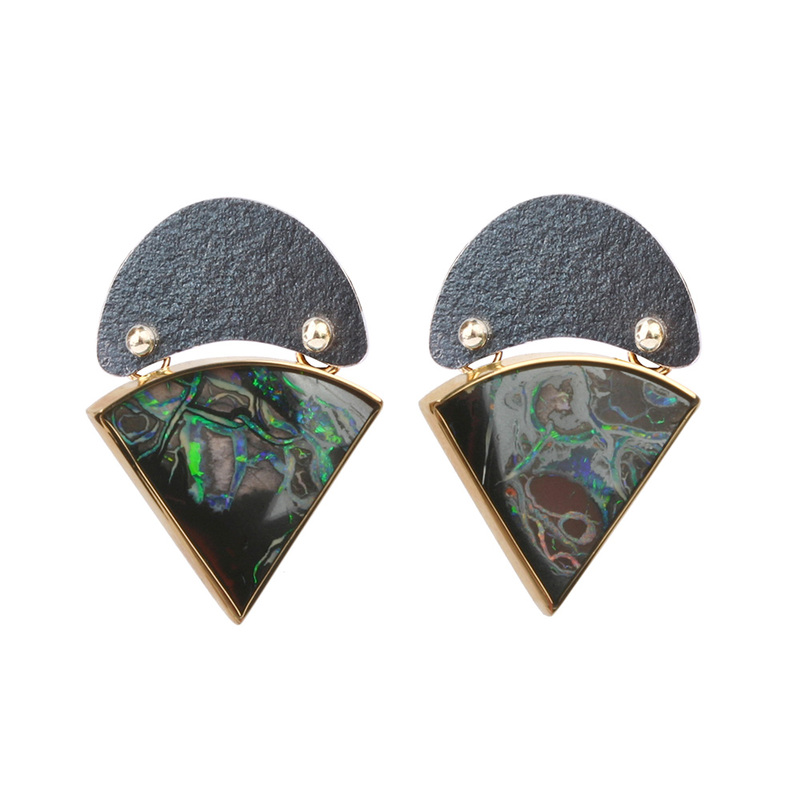 Yowah opal is rare and to find a matching pair to make earrings with is very special. The opals are set in 18 karat gold. The tops are made of silver. The silver is treated with a black patina. The total length of the earrings is 3 cm. The earring is at the widest point, the top of the opal, more than 2 cm. Because gold is a cleaner and stronger material as silver, the posts are, the part that goes through your ear, made ​​of 14 karat gold. 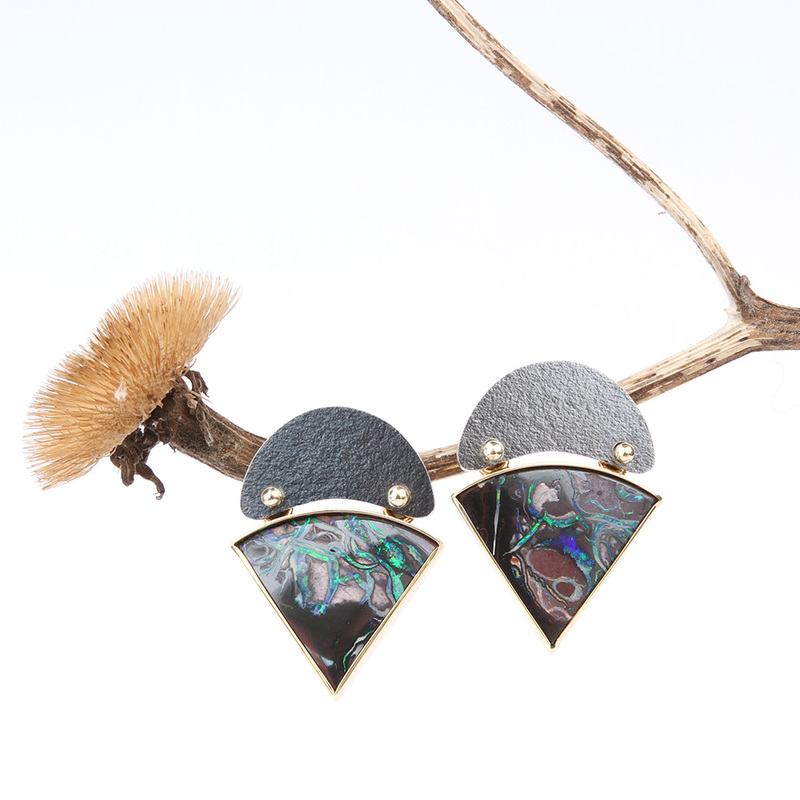 The earrings are a unique one of a kind piece, hand crafted in our atelier in Wijnjewoude, The Netherlands. Our jewelry is provided with our Maker’s Mark.